Opening it's doors in 1922 as a middle school, the Farrar Schoolhouse became a private residence in 2008. Known for poltergeist activity, floating balls of light, and claims that the students still can be heard walking the halls. Witnesses have seen the ghost of a small boy in the stairwell and also around the school auditorium stage. 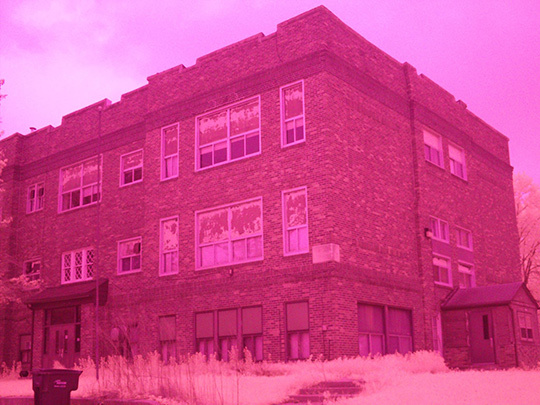 On March 21, 2015 and May 30, 2015, PRISM conducted overnight paranormal investigations of the haunted Farrar Schoolhouse in Maxwell, Iowa.